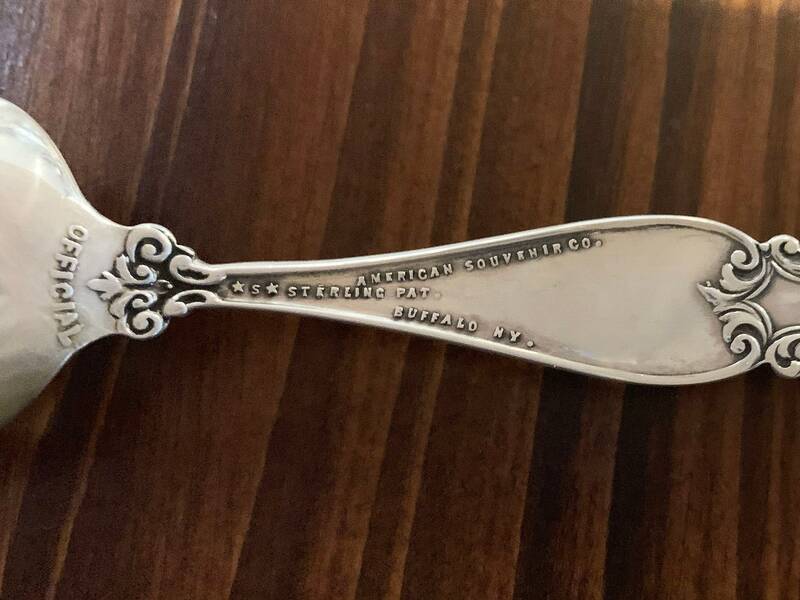 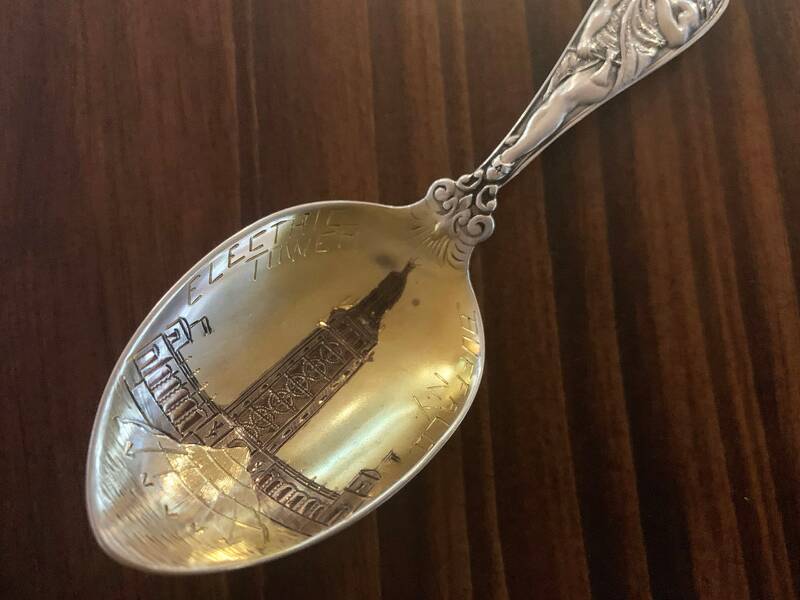 This highly collectable antique sterling silver souvenir spoon commemorates the 1912 construction of the Electric Tower in Buffalo, NY. 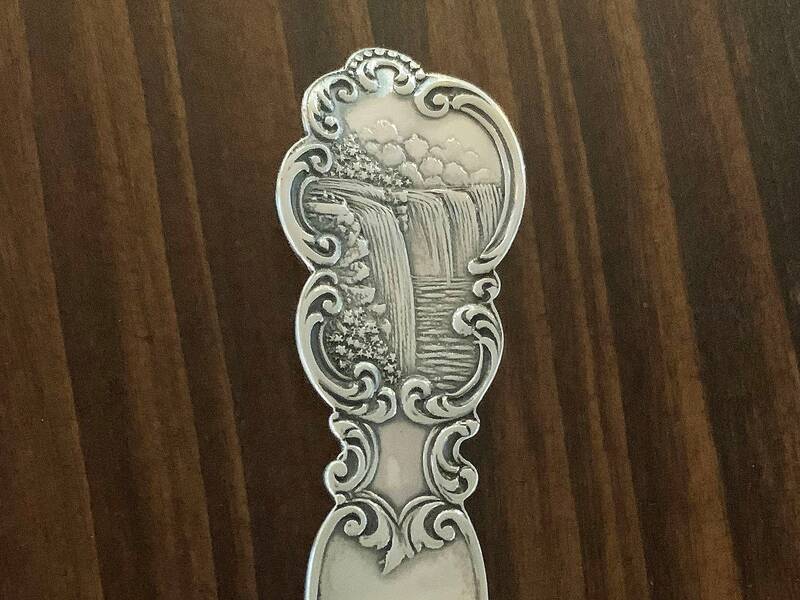 The front of the handle depicts an ornately designed Native American Chief and a Buffalo while the back of the handle features the Niagara Falls. 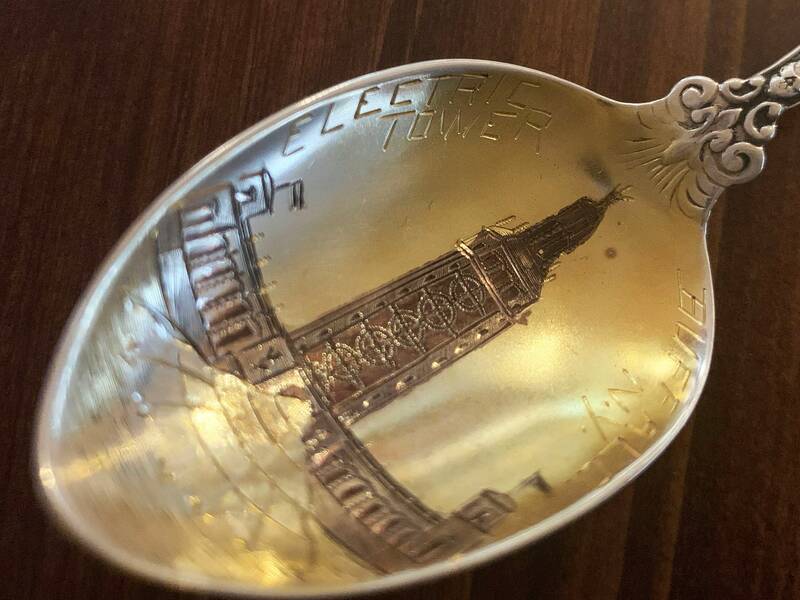 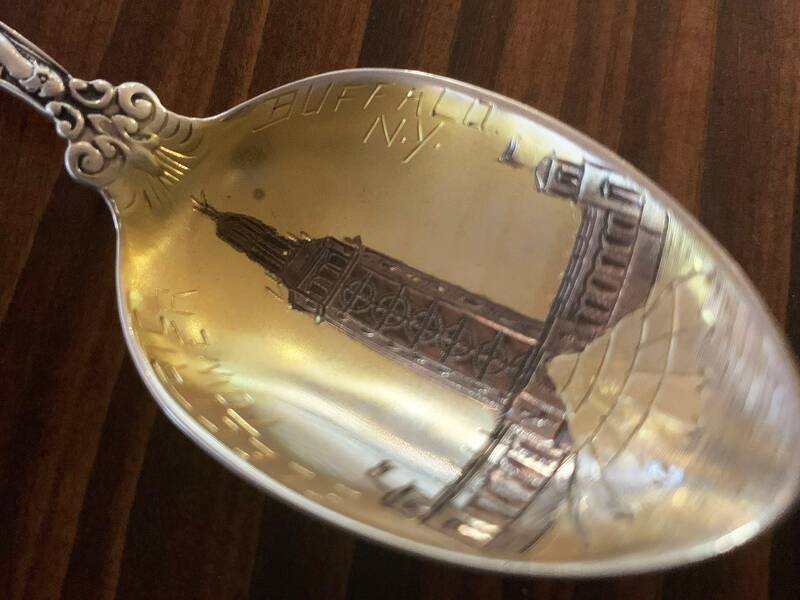 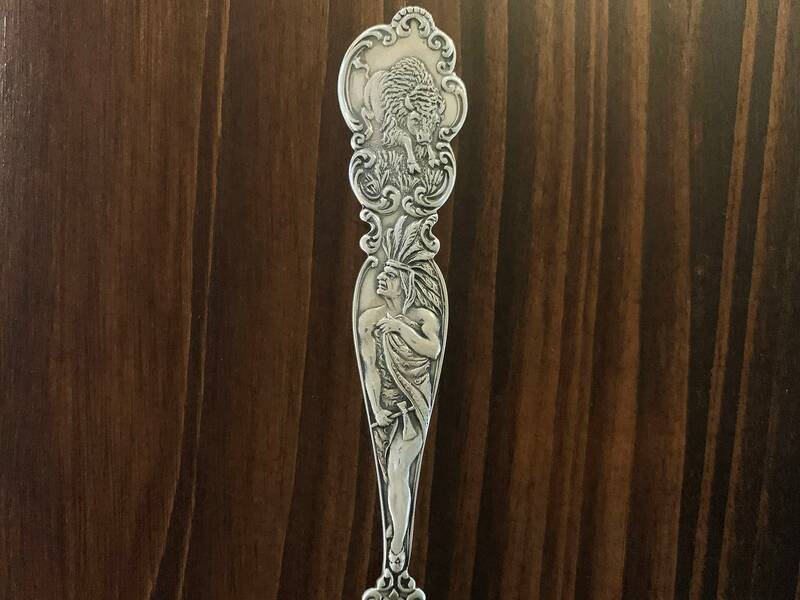 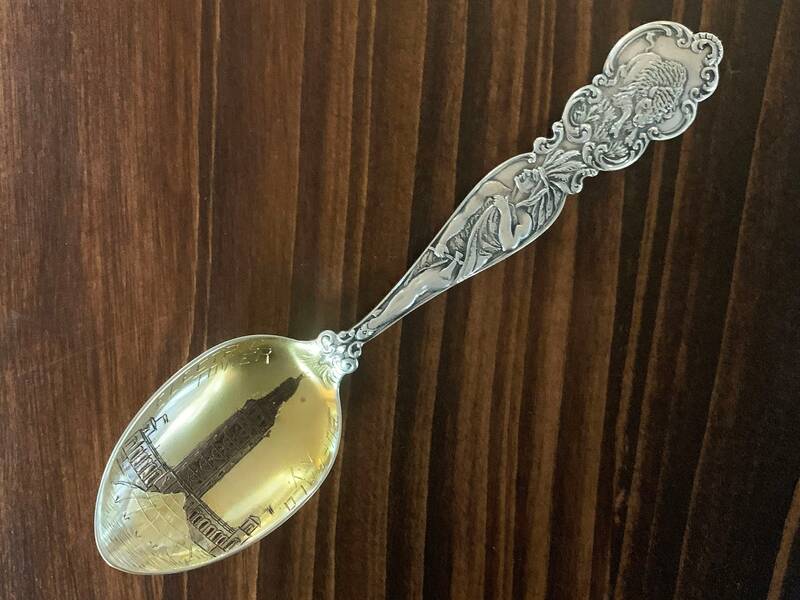 The spoon is engraved with a stunning design of the new building encircled by "Electric Tower" and "Buffalo N.Y."